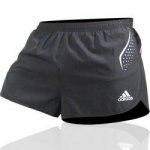 This is a true runner's short. Engineered to move with your body, supporting your muscles for greater comfort and efficiency. These shorts are lightweight and breathable with a longer and looser box cut. Elastic Waistband with drawcord: Improved comfort and freedom of movement. Zipped Pockets: Ideal for keeping your valuables safe while you train. Reflectivity: Extra visibility in low light conditions. 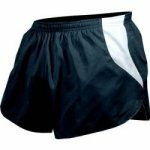 Lightweight, lined, 100% Dri-Fit two inch short. Elastic waist: with drawcord for personalised fit. The two inch length: delivers full freedom of movement, while an inner pocket holds your key securely. 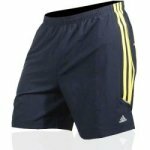 These running shorts are tight fitting and warm on the thighs this style ensures the upper leg muscles are massaged and protected throughout a run. DuoTech Warm - keeps you warm in cool conditions.